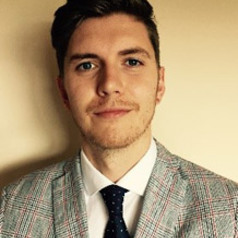 Dr Adam McCann is a lecturer in medical ethics, criminal law, and evidence law at the University of Exeter. His specific research interests and main publications concentrate on the legal framework surrounding end-of-life medical decisions in the context of broader governance and political theories. He has also published on EU free movement law and social justice (in The European Review of Private Law); co-edited a book on law and governance theories (Eleven International Publishing), wrote a book chapter on immoral contracts (forthcoming, Oxford University Press), and co-wrote a book chapter on fundamental rights and humaneness in EU health-care law (Cambridge University Press). He has contributed to The Times Higher Education, The Irish Times, and has appeared on national radio discussing the law on assisted suicide. In January 2017, Adam was appointed one of the editors of the European Journal of Comparative Law and Governance.